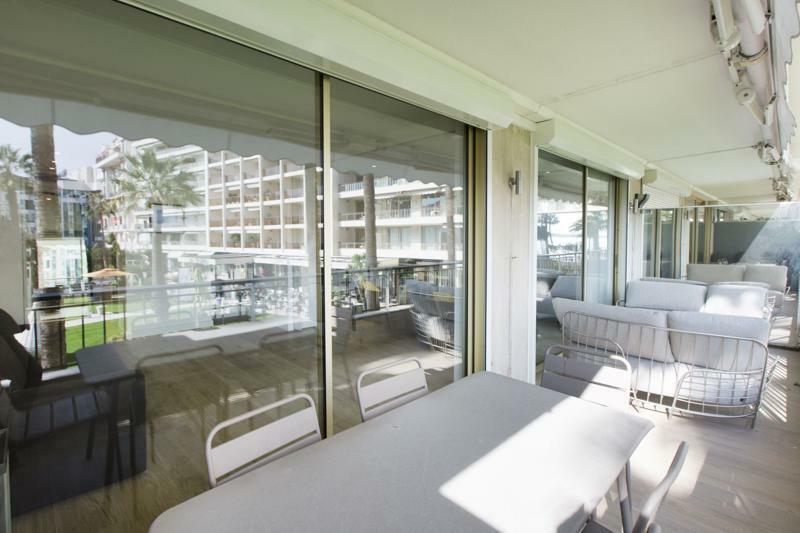 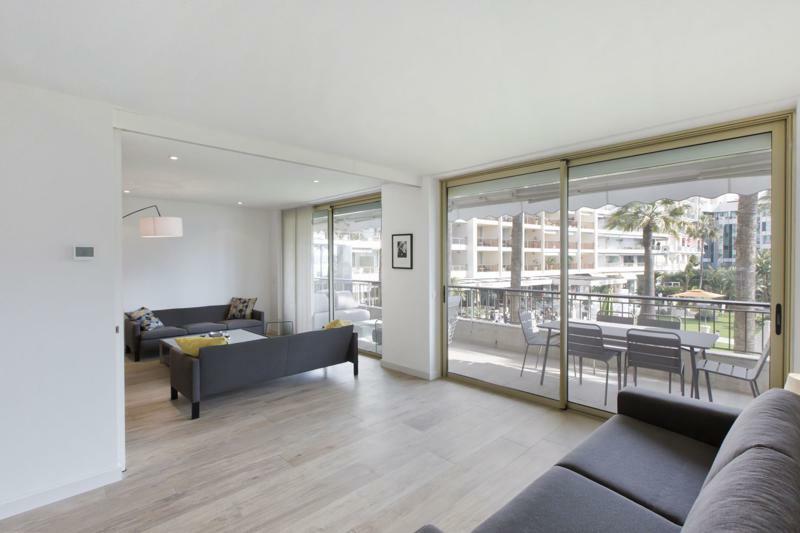 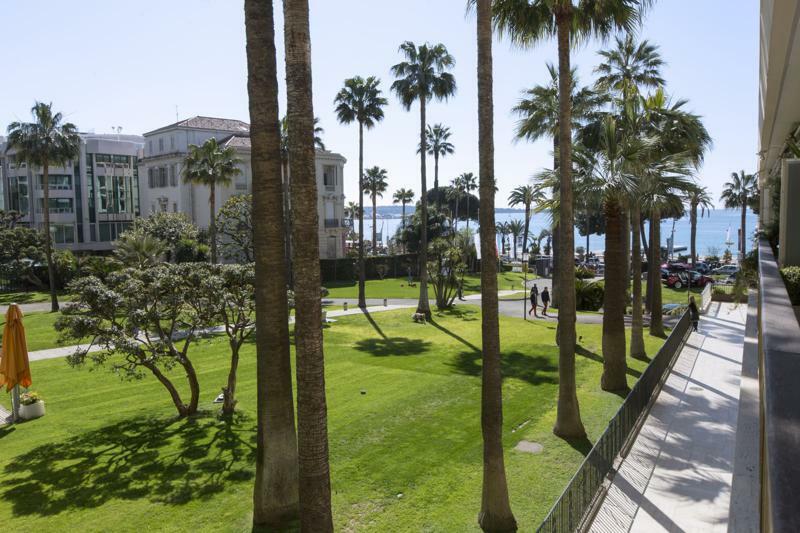 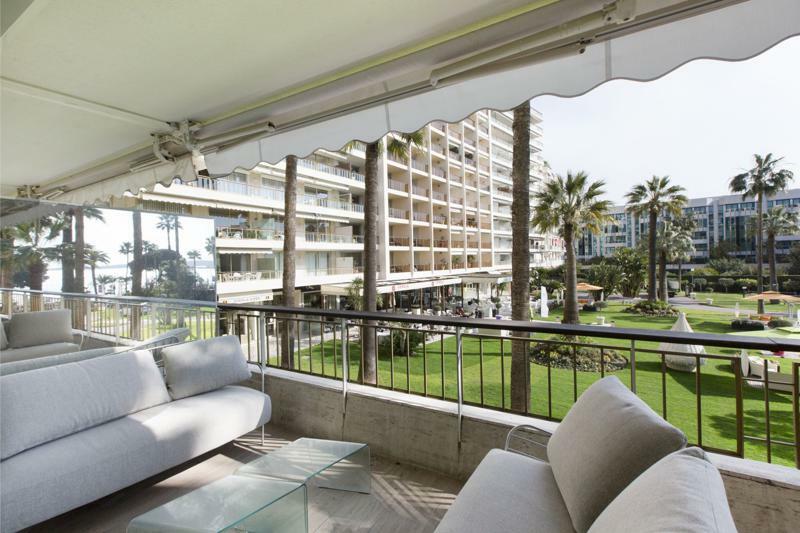 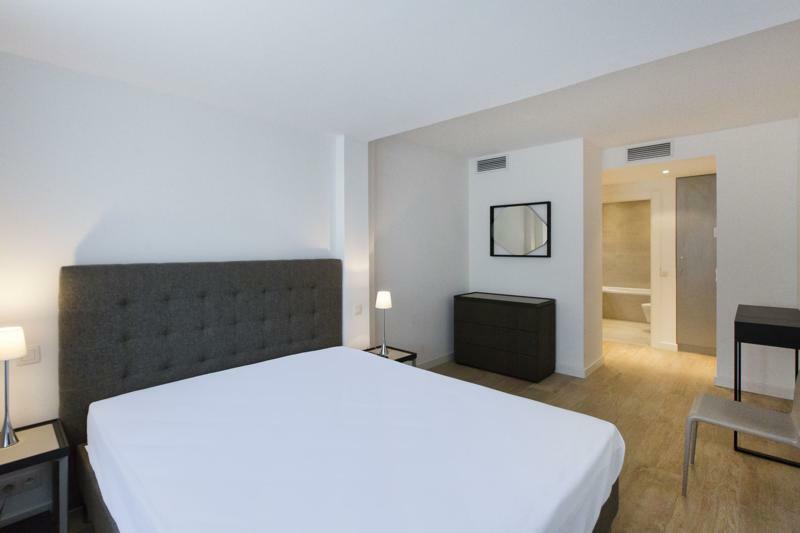 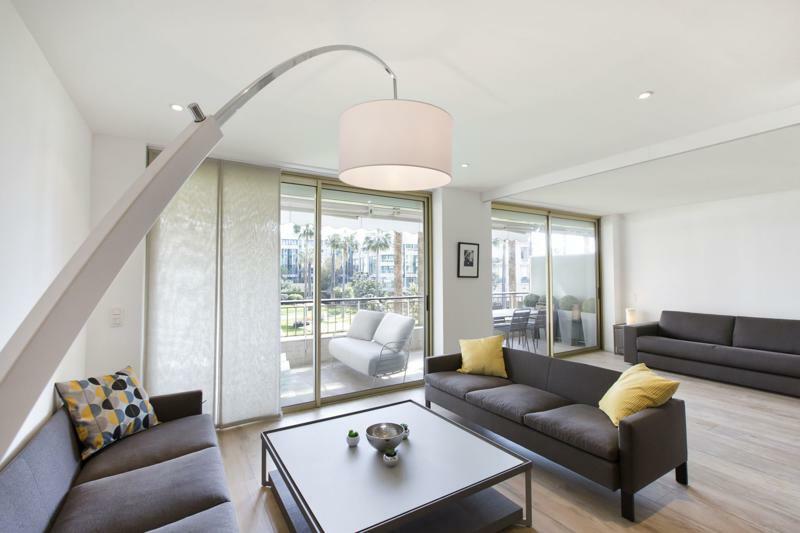 This 1st floor apartment is located in the prestigious Grand Hotel residence on the famous Croisette and is just a 9 minute walk to the Palais des Festivals. 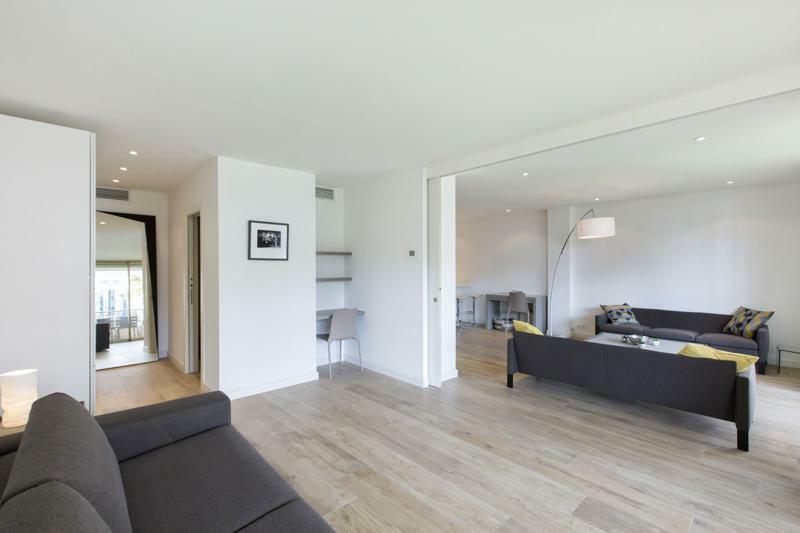 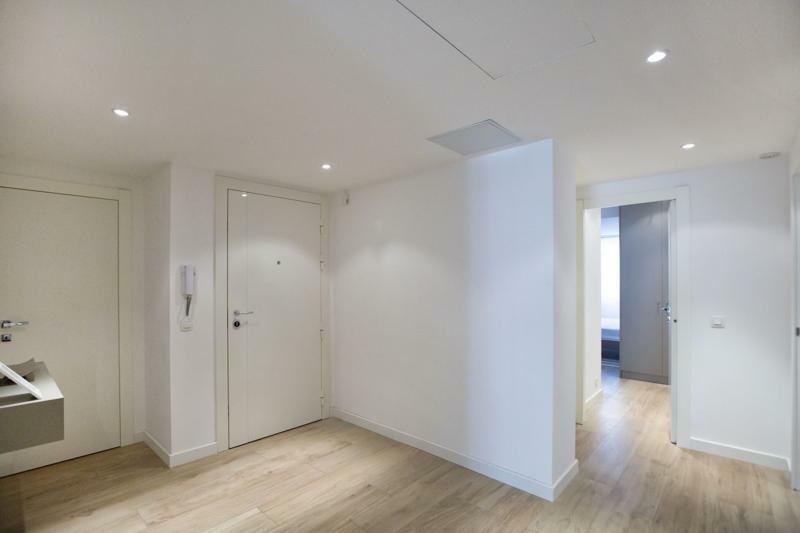 This is the perfect apartment for group accommodation as there is the option for 3 bedrooms and 3 bathrooms, or for 2 bedrooms and a second living area. 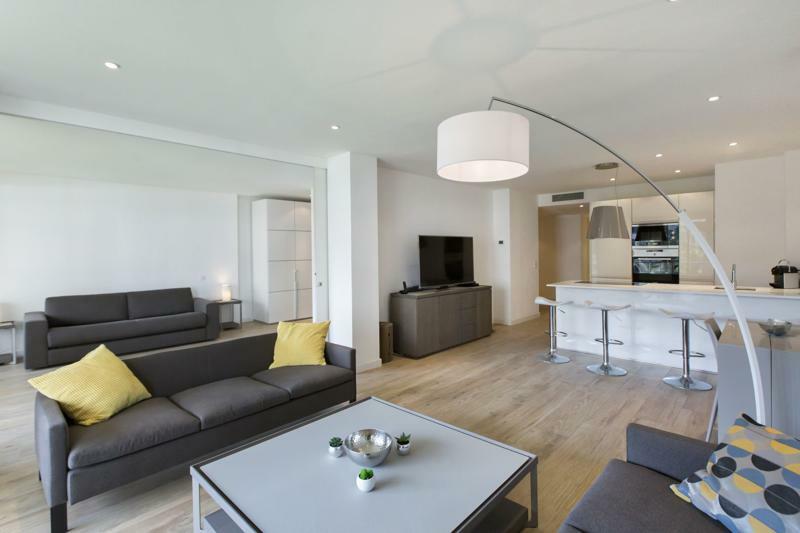 The living room can be separated by a sliding door to create a 3rd bedroom with a sofa bed. 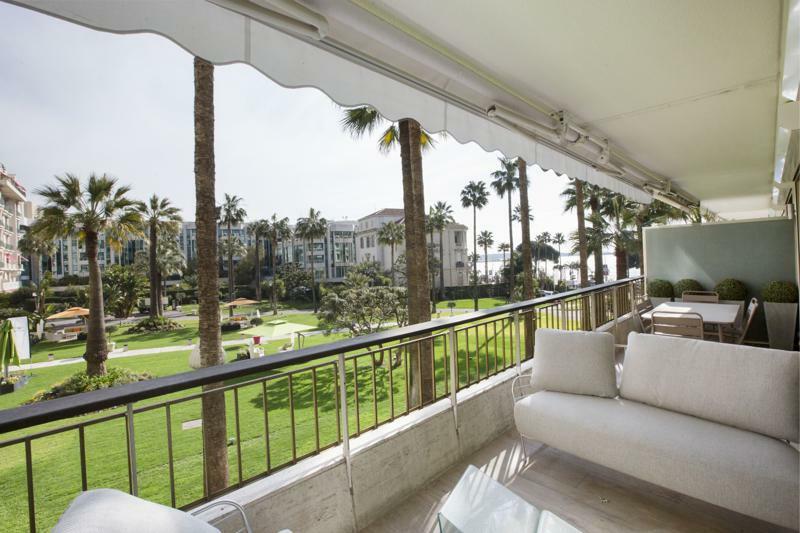 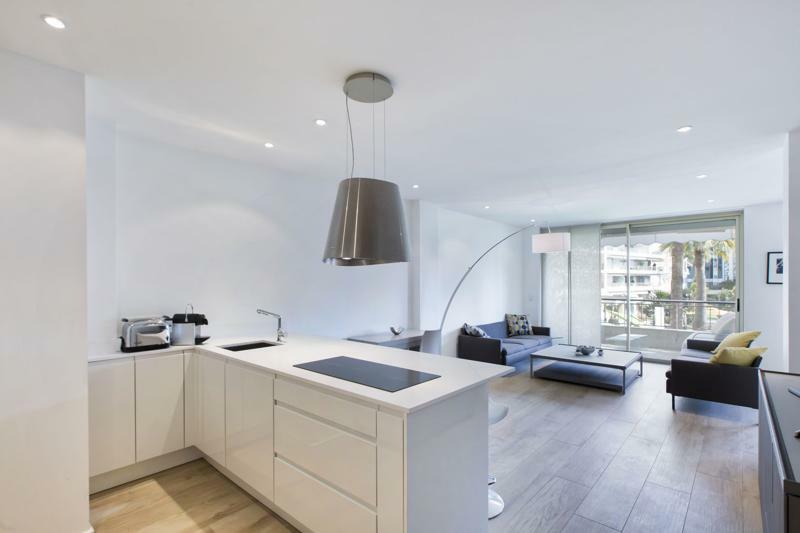 Both of these spaces open onto a furnished terrace with an incredible garden and sea view. 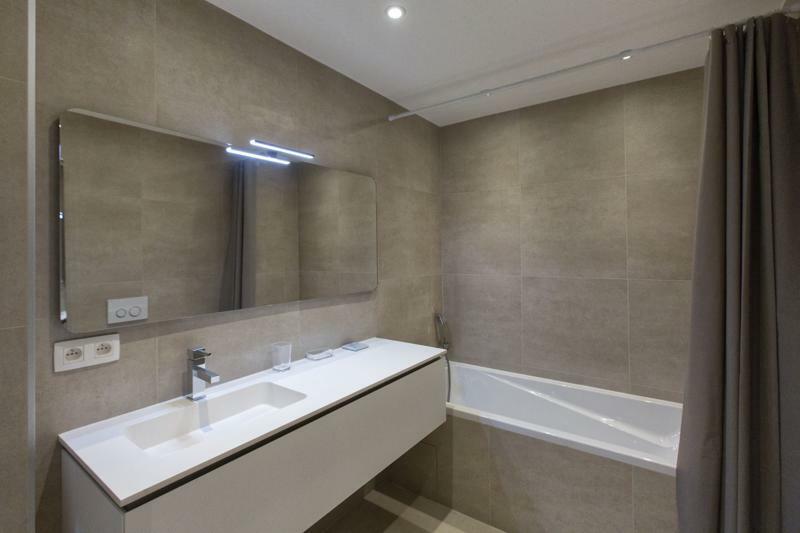 In terms of the other 2 bedrooms, the 1st bedroom comes with a double bed and an ensuite bathroom with a bath tub and toilet. 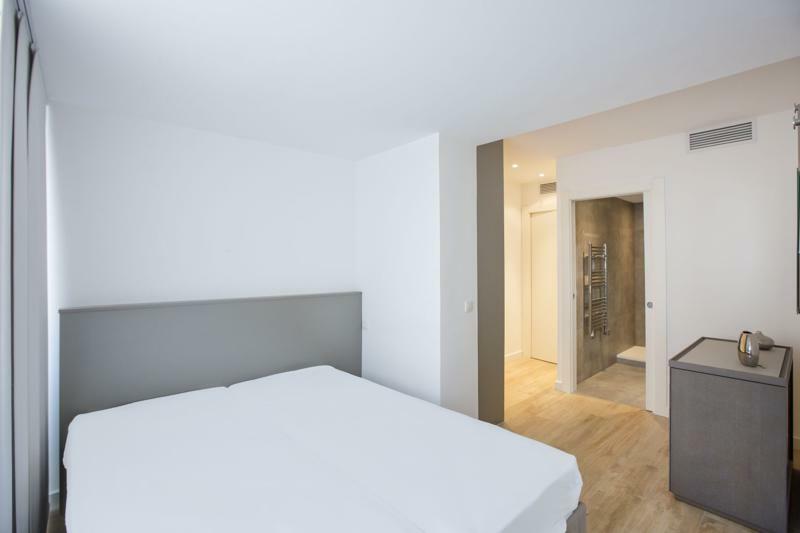 The 2nd bedroom has 2 single beds that be made into a double bed if desired and offers an ensuite bathroom with a shower and toilet. 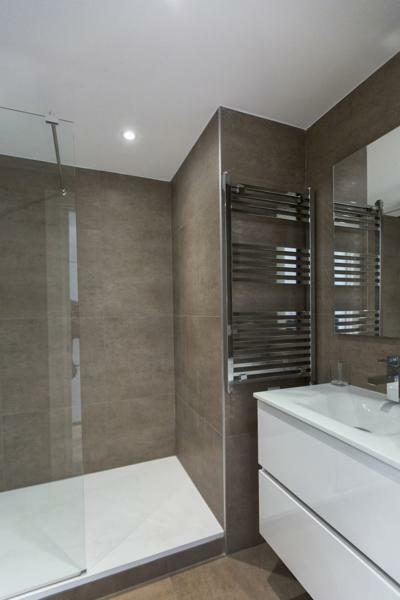 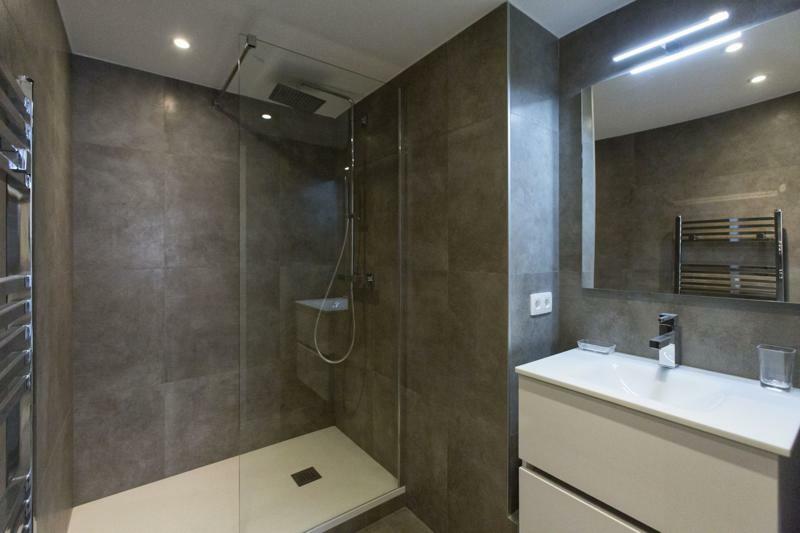 The 3rd bedroom or 2nd living room also has an ensuite shower and the apartment comes with a guest toilet as well. 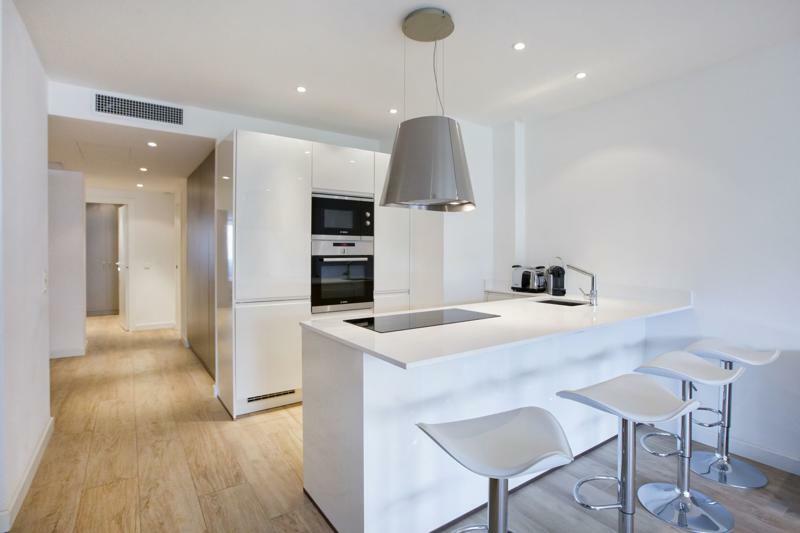 The kitchen comes fully equipped and other amenities include: Internet, elevator, and air conditioning.